Exclusive: Watch the First Clip from the New Hellboy Movie! 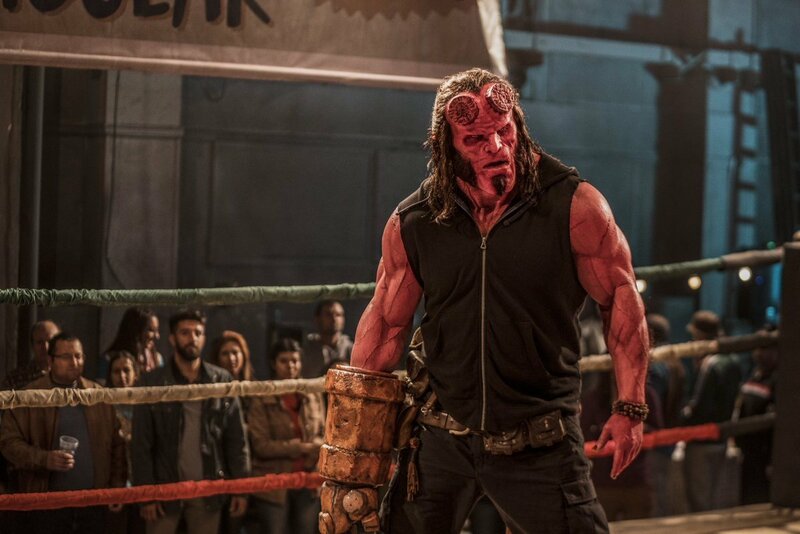 Ahead of the film’s release, Coming Soon has the exclusive first clip from the new Hellboy movie! Featuring a scene between David Harbour’s Hellboy and Ian McShane’s Professor Bruttenholm, and a brief glimpse of the character’s hooved feet if you’re looking, check it out in the player below. Joining the pair in the film are Milla Jovovich (The Fifth Element, Resident Evil franchise) as villain Nimue aka the Blood Queen, Sasha Lane (American Honey) as Alice Monaghan, Penelope Mitchell (Hemlock Grove) as the elder witch Ganeida, and Daniel Dae Kim (Hawaii Five-0, LOST) as Major Ben Daimio. Summit Entertainment and Millennium Films present, a Lawrence Gordon/Lloyd Levin production, in association with Dark Horse Entertainment, a Nu Boyana production, in association with Campbell Grobman Films. Neil Marshall (The Descent, Game of Thrones) directs from a script by Andrew Cosby (Eureka), Christopher Golden and the character’s creator, Mike Mignola. The post Exclusive: Watch the First Clip from the New Hellboy Movie! appeared first on ComingSoon.net.